Wash brinjal and wipe with a kitchen towel. Apply oil on the brinjal. ​Now in a low flame start heating the brinjal directly on the gas. Turn the brinjal after every few sec. and roast properly. ​When the brinjal is completely roasted. Switch off the flame. Allow it to cool and slowly remove th skin of the brinjal. 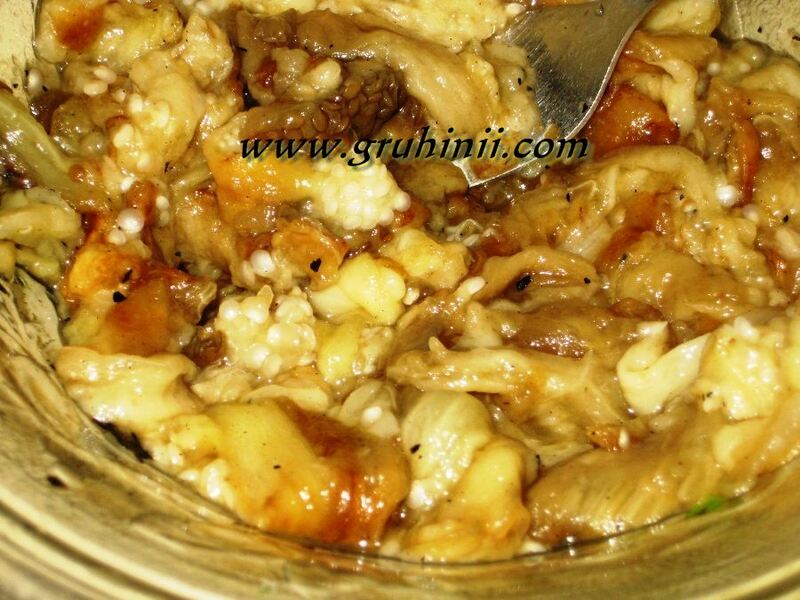 Now take the brinjal into a bowl and mash well. 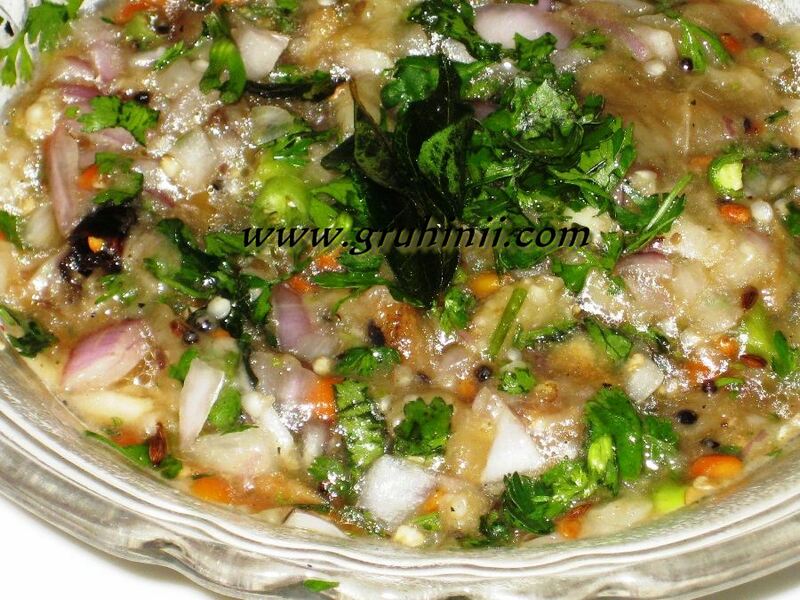 Add chopped onions, green chillies, coriander leaves, salt and tamarind pulp. Mix well and keep it aside. Heat oil in a pan for thadka. Add rai to it. When it starts spluttering add the dals, red chillies, hing and curry leaves. 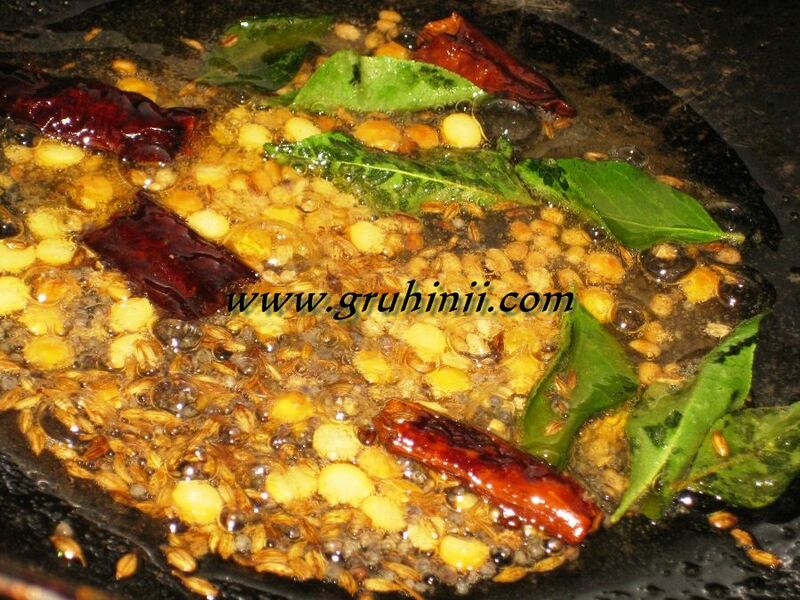 Fry and add the thadka to the chutney. Baigan ka bhartha/Pedda Vankaya kalchina pachadi in Andhra style is ready.........Tastes yummy with steamed rice or rotis.